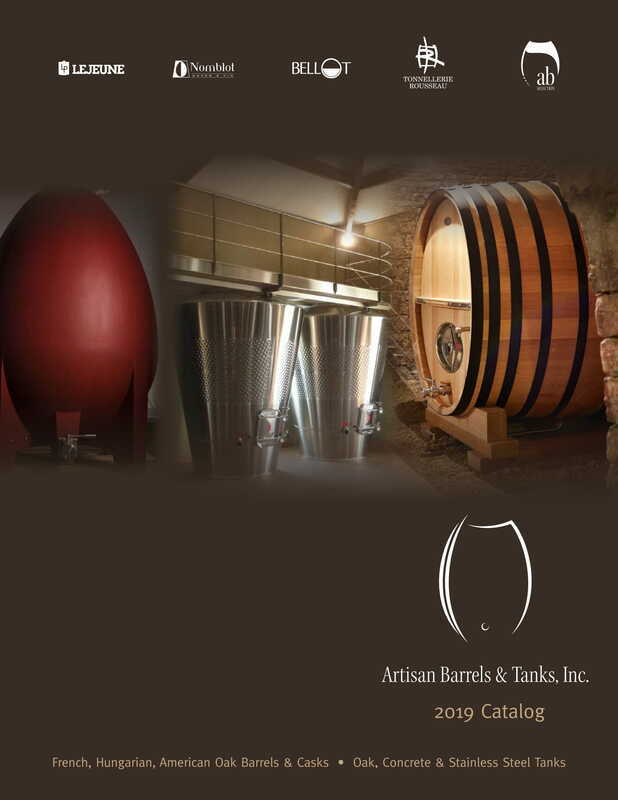 Rousseau - Artisan Barrels & Tanks, Inc.
"Click to see Video presentation of the Cooperage"
" Achieving quality requires necessary constraints. Rousseau has followed consistently these self-inspired rules. Our cooperage has been trying for over 60 years to reach this goal with humility". Since its creation in 1954, the Rousseau cooperage has always based its strength on the same core values: maintaining tradition, the love of a job well done, the constant pursuit for quality, which led, a few months ago, to the ISO 22000 and PEFC accreditations (see pages 6 and 14), and last but not least, family values. Tonnellerie Rousseau is a family business run today by Jean Marie Rousseau. This small cooperage sells most of its production to the nearby vineyards of Burgundy, as well as to the main wine producing regions of Australia, New Zealand, Italy, Spain, Germany, Austria, Switzerland, South Africa, California, Oregon and Chile. (« MOF:”Meilleur Ouvier de France »), including Julien Rousseau, the founder, his son Jean-Marie (the General Manager) and his grandson Jean-Christophe, manager of the large formats unit. 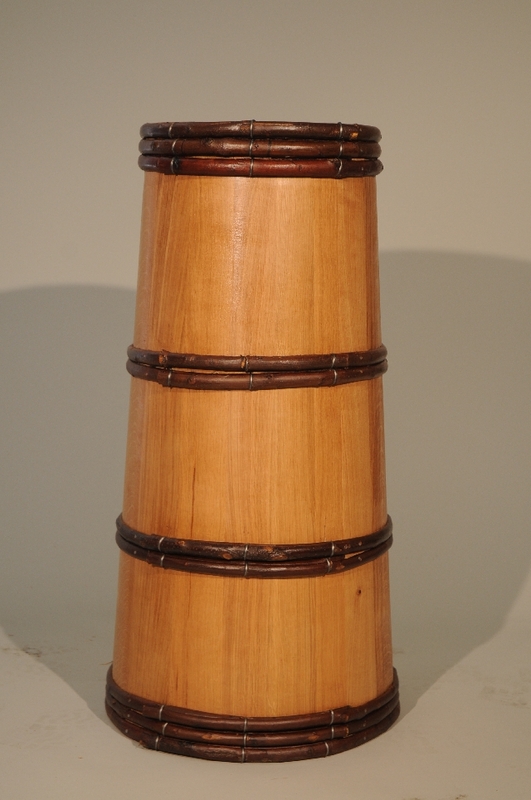 This had never been seen before in the French cooperage industry! The tradition of long, open-air drying of the oak, with exposure to the rain, wind and sun, reduces excessively green tannins and helps the polymerisation of the "noble" oak tannins. This long natural seasoning process contributes to the final quality of Rousseau Barrels. Careful selection of merrain stave-wood also guarantees the best raw material available is used by their Master Coopers. Bending and Toasting, using oak chips is carefuly monitored to ensure that barrels meet our client's specifications. Their master coopers apply slow extraction toasting to yield the best , most harmonious tannins and oak aromatics. Over the last 10 years, Rousseau cooperage has been working closely with clients in the US (Archery summit, Sonoma Curter, Cakebread Cellars, Stoller Vineyards...) and in Burgundy (Domaine Leflaive, Nicolas Potel) to fine tune, test and improve their new products assortment. Sensory and chemical analysis are held regularly in France, the US, Australia and New Zeland to monitor oak trials with barrels, tanks and casks samples. Rousseau’s History - See new 2018 VIDEO ! 1985 : Start of the cooperage activity (with 201 barrels the first year). 1990 : Management change with Jean-Marie as the General Manager instead of Julien who retires. 1994 : Beginning of barrels exports to the US. 2001 : Creation of of a new Aromatic Profiles & Regional Forests blends Range. Recruitment of Jean-Christophe Rousseau, who just passed his cooper’s certificate in Cognac, after 2 years of training in Saint Désir de Lisieux (14). 2003 : The vats and tanks are standardized. 2004 : Frédéric Rousseau is recruited. 5 employees receive the title of Meilleur Ouvrier de France (Best Craftsman of France - MOF), including Julien Rousseau the founder of the company. 2005 : The 1st barrel of the Expert Range, Piano®, is launched. 2007 : Again, 5 employees receive the title of MOF, making to 10 the number of employees who have received this distinction, including Jean-Marie and Jean-Christophe Rousseau (3 generations of MOF in the family). 2015 : A new cooper is named "Best Craftsman of France"